" The gradual shift away from the early ideals and hopes of the Revolution to the absolute oppression of the thirties was a tragedy for many Soviet citizens, and one that was repeated around the world from Albania to Cambodia." As a debut author, how did you find the process of getting published? I’m very lucky to have an excellent agent - Andrew Gordon at David Higham Associates - who worked as an editor for many years, and so we spent several months working on The Holy Thief before it finally did the rounds of the London publishers. When we met Maria Rejt at Macmillan, we both knew immediately that we wanted her to publish it because of her enthusiasm for the book and her reputation as an outstanding editor and we were delighted when Macmillan decided to make an offer. It’s strange though, how much goes into the final draft - revisions, copy-editing, proof-reading and so on. I don’t think I had any idea how much work goes into publishing a book, or the number of people involved, but the care and attention that Maria and everyone at Macmillan put into the book was a very pleasant surprise, and I’m very grateful. Can you talk us through your writing process – from conception to publication? I wish it was a process as such. I generally know where I’m going, in terms of how the book will end, but the path I take to get there is more of a meandering stagger than a well-planned march. I try to read Soviet-era novels and history when I’m writing as I think this helps when trying to create the right atmosphere for the book, and often throws up plot ideas and detail which is always useful. I did attempt to have a more of a step-by-step plan for the second Korolev novel, which I’m writing at the moment, but as soon as I started the book itself, the characters decided to ignore anything I tried to make them do. On top of that I found that a trip to Odessa in the Ukraine, where the second novel is set, led to changes to the physical locations I had in mind, and that’s meant a bit of rewriting. Still, I’m pretty confident I’ll end up in the place I originally intended on the last page, but I’m equally sure I’ll continue to turn down a few cul-de-sacs along the way - and I’ve given up looking at the plan. 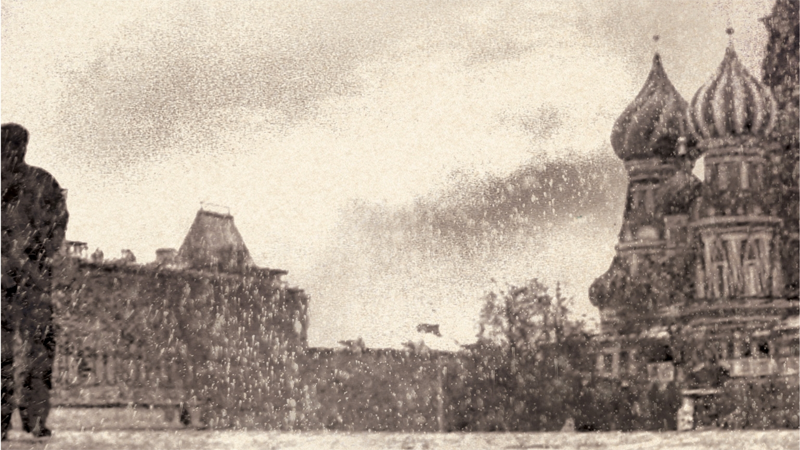 Why did you choose to write your book set in the midst of Stalin’s ‘great terror’? I think it’s a fascinating period of history. The gradual shift away from the early ideals and hopes of the Revolution to the absolute oppression of the thirties was a tragedy for many Soviet citizens, and one that was repeated around the world from Albania to Cambodia. I find it amazing that the Orthodox religion, despite its savage persecution, has emerged possibly stronger than ever in Russia, so Korolev, the main character in the novel, was intended to reflect that under-current of religious belief that always existed even at the height of the Terror. He’s an ordinary person living in an extraordinary time, trying to make sense of the world he finds himself in and doing his best to survive without compromising any more than he has to. Do you write in silence, or do you listen to the radio/music/news? If so, which music do you listen to? I mostly write in a library – so they probably wouldn’t thank me if I listened to the radio, or anything else I suspect - but when I’m at home I’ll often listen to music. I’m easily distracted so anything with words is generally a bad idea, so it tends to be classical music or jazz. Sometimes I find myself typing to the rhythm of the music, which is a little worrying. When researching the book, what tools did you find useful? I find photographs often give a good insight into how people lived, and what the streets and buildings looked like, particularly for The Holy Thief given that Moscow has changed a great deal since the 1930s. I’m always a little careful with anything from the Soviet period as it tends to be a idealised view of the reality. For example, when I was in Odessa recently, I was given a copy of a 1930s documentary about the city which is fascinating to watch but, because it’s essentially propaganda, it’s probably best to ignore the voice-over. Modern historians like Orlando Figes and Sheila Fitzpatrick, to name two among many, have done great work in uncovering the social reality of life in thirties Russia, and invaluable for someone like me. I also tried to read as many memoirs and novels from the thirties as I could find, particularly when I was writing, although again you have to look at everything with a sort of double-vision, as it tends to be skewed, one way or the other. The Soviets were the first state to try to completely control the way they were seen, both at home and abroad - so a lot of writing from the Soviet period is unreliable to say the least. But, at the same time, it’s relevant because Soviet citizens began to see themselves and their country in the way the all-pervasive propaganda intended, at least to an extent. Were you inspired by any other books or films? I’m a great admirer of Martin Cruz Smith and his novels, as well as those of Olen Steinhauer, Philip Kerr, Boris Akunin, RN Morris, Jason Goodwin and David Liss, were all examples I tried to follow when trying to establish a convincing evocation of a different time and place. However, probably the major inspiration for The Holy Thief was Isaac Babel, as my fascination with his short stories led me to finding out more about early Soviet Russia and the Terror in which he died, and that led indirectly to The Holy Thief. What’s happening next for William Ryan? I’m currently writing Bloody Meadow, the sequel to The Holy Thief, in which Korolev is ordered by the NKVD to investigate a murder on a Soviet film set that may have political ramifications. It features several of the same characters as in The Holy Thief and, needless to say, forces Korolev to make some hard decisions and face considerable dangers before the case is finally resolved.